Manchester Academy is an independent college preparatory school located in Yazoo City, Mississippi serving 420 students in grades 2K thru 12th grade. 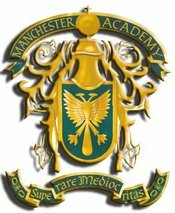 Manchester Academy is accredited by the Mississippi Association of Independent Schools (MAIS), Southern Association of Independent Schools (SAIS), and the Southern Association of Colleges and Schools (SACS). The Manchester Mavericks compete in division 2-AA of the MAIS. Please find more information under the pages listed in the left hand column.